People preparing for retirement and wanting to make sure they’re on track to be able to retire at a certain age. People in retirement who, between the economy, inflation, taxes, and healthcare costs wonder if they have the right financial plan. People receiving an inheritance, lawsuit settlement, life insurance or annuity claims, or some other windfall and are not sure how to best use or invest the funds. People transitioning between jobs who want guidance on how to handle their 401k, 403b, or profit sharing plan assets. People who have had major life changes and their adult children who now have to handle their parent’s financial decisions because the parents need care or are unable to handle their own finances. People who have lost a spouse or parents. People who are successor trustees or executors of an estate and want help with the estate settlement process. WHO WOULD NOT BE A GOOD FIT FOR YOU? 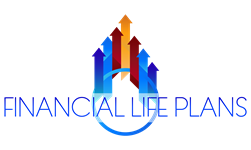 People who are not ready or willing to utilize a financial coach to help coordinate the many moving parts of the financial process. Additionally, if you are someone who believes they can beat the market; or you are wanting the latest hot stock tip or to talk about daily stock returns, then we will not be a good fit. We believe this process should be a partnership. People who have experienced a recent death of a spouse or a child. We generally suggest a 6 month time frame in which no major financial decisions will be made with the exception of administrative tasks (which we can assist with). We have found that the grief is too profound during the first six months after a loss to focus on finances. DO I HAVE TO PAY FOR AN INTRODUCTORY MEETING? No, the introductory meeting is free. The CFP® certification process, administered by CFP Board, identifies to the public that those individuals who have been authorized to use the CFP® certification marks in the U.S. have met rigorous professional standards and have agreed to adhere to the principles of integrity, objectivity, competence, fairness, confidentiality, professionalism and diligence when dealing with clients. Find out more HERE. They are paid directly by clients for their services and can’t receive other sources of compensation, such as payments from fund providers or commissions of any kind. This means if you need to purchase a product such as insurance, you will go to your insurance agent to purchase a policy not to your planner. The planner may give you advice on different insurance policies for a fee but they do not sell you the policy. They act as a fiduciary, meaning they are obligated to put their clients’ interests first. They must disclose all compensation. They are paid directly by clients but may also be paid via other sources, such as commissions from financial products that clients purchase. For example; they may be paid by the client for investment management services and also be paid a commission from an insurance company on an insurance policy a client purchases through the planner. When the planner is a registered investment advisor and is being paid fees for investment management services, they also act as a fiduciary and are obligated to put their client’s interests first. They must disclose all compensation on investment accounts. Brokers and dealers (or registered representatives) who are not registered investment advisors are simply required to sell products that are "suitable" for their clients and do not act as a fiduciary. We can work with you strictly as a fiduciary compensated only by fees paid by you, or we can work with you on a fee and commission basis. Regardless of the method you choose, we will disclose how we’re compensated as well as any possible conflicts of interest. Registered Representatives of and offers securities products & advisory services through Royal Alliance Associates, Inc., a registered broker-dealer and registered investment advisor, Member FINRA/SIPC. In this regard, this communication is strictly intended for individuals residing in the states of AZ, CA, CO, FL, HI, MD, NE, OR and TX. No offers may be made or accepted from any resident outside the specific state(s) referenced.